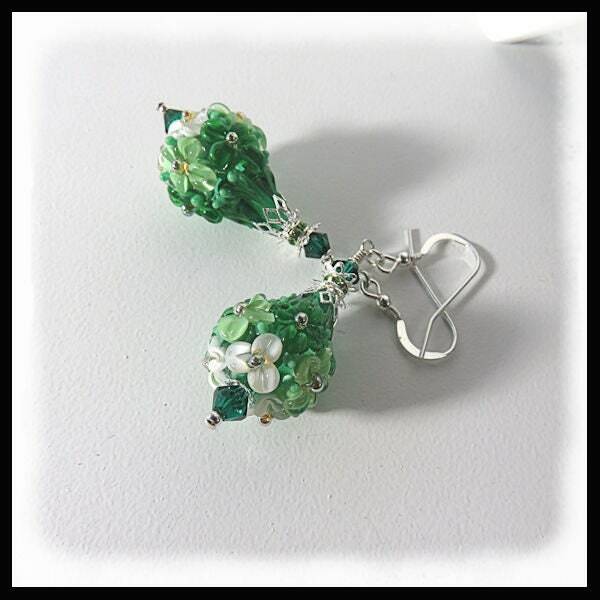 Artisan floral lampwork beads are set in silver plated bead baskets. The earrings are accented with Emerald Swarovski crystals, Emerald Swarovski silver plated rondelles and sterling silver bead caps. The earrings hang from sterling silver ear wires.